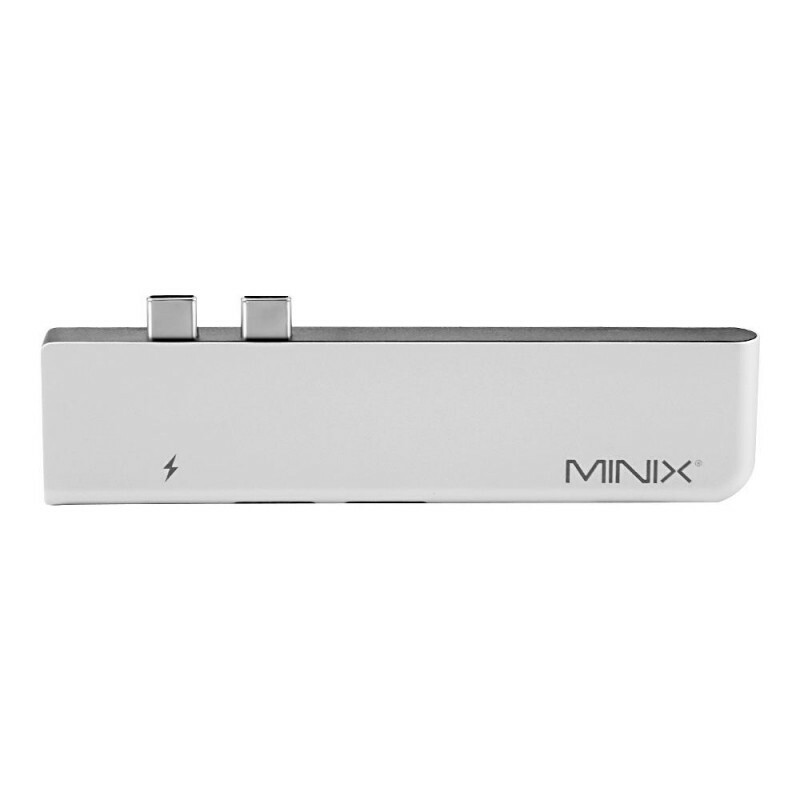 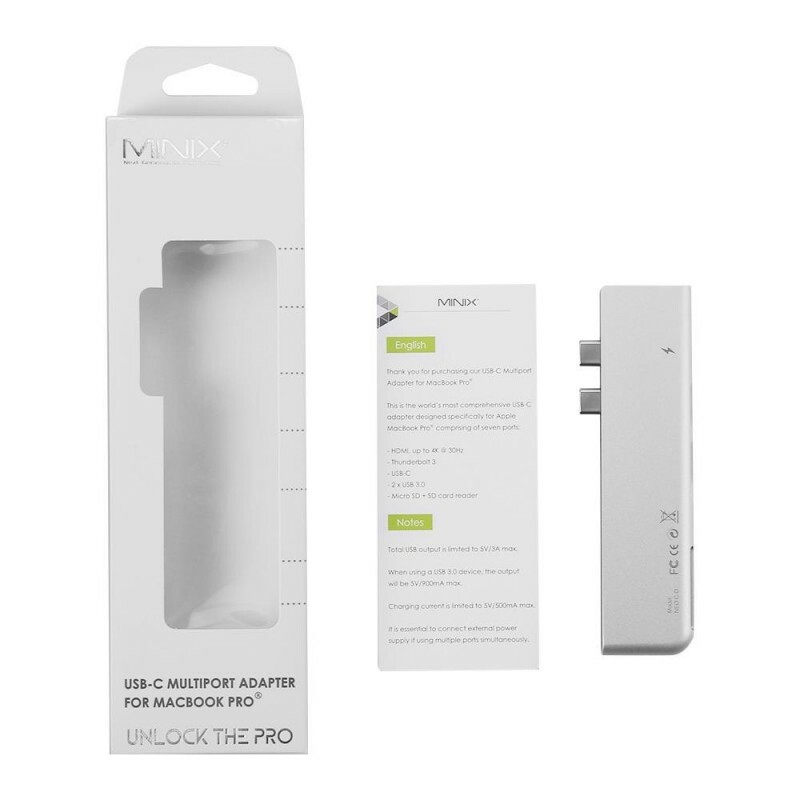 The Minix NEO-C-DGR is a compact, elegant adapter that is the perfect companion for your Apple MacBook Pro. 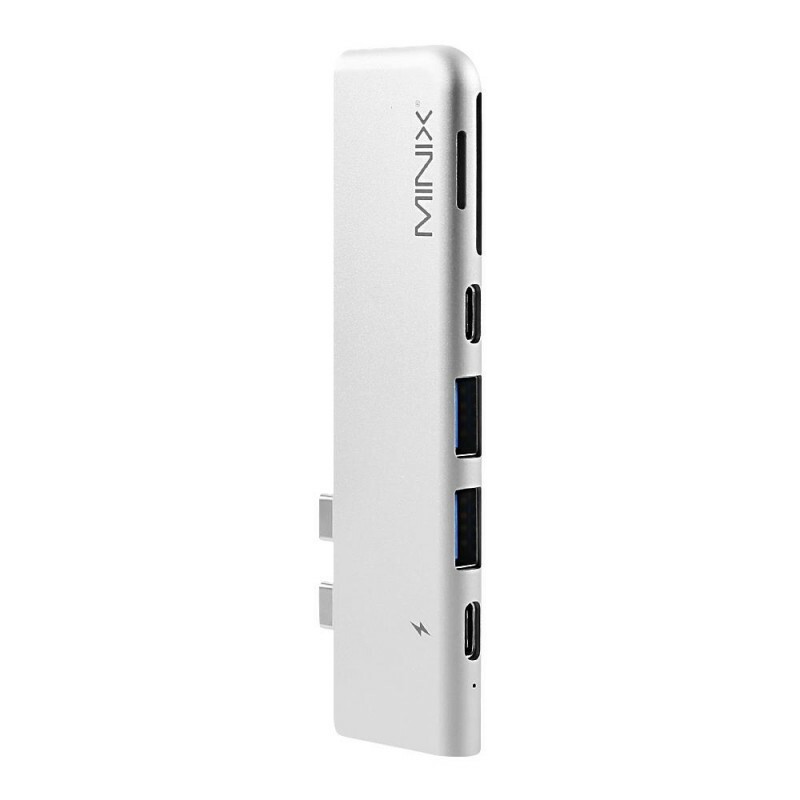 Featuring a total of seven ports that can all be used simultaneously – HDMI, 2 x USB 3.0, Thunderbolt 3, USB-C, and Micro SD and SD card readers expands the possibilities of your iOS device. 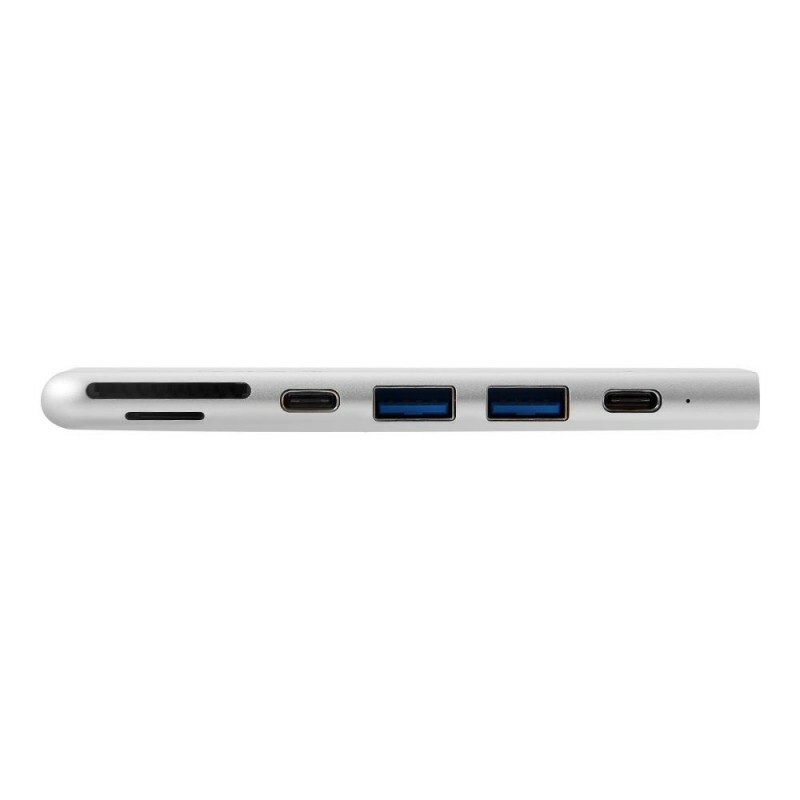 Equipped with both HDMI and Thunderbolt 3 ports, the adapter offers an array of display output options such as HDMI, Thunderbolt 3, USB-C, 2 x USB 3.0, Micro SD and SD card. 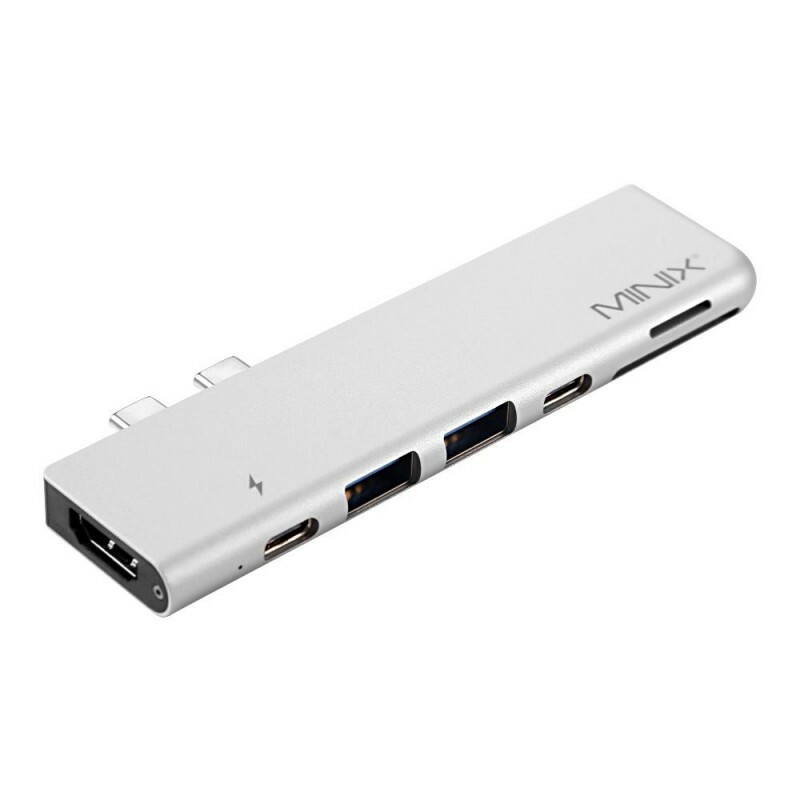 Use the HDMI port to output crystal clear, blur-free video to your external display at up to 4K @ 30Hz, or the Thunderbolt 3 port that supports up to 5K @ 60Hz or two 4K @ 60Hz displays. 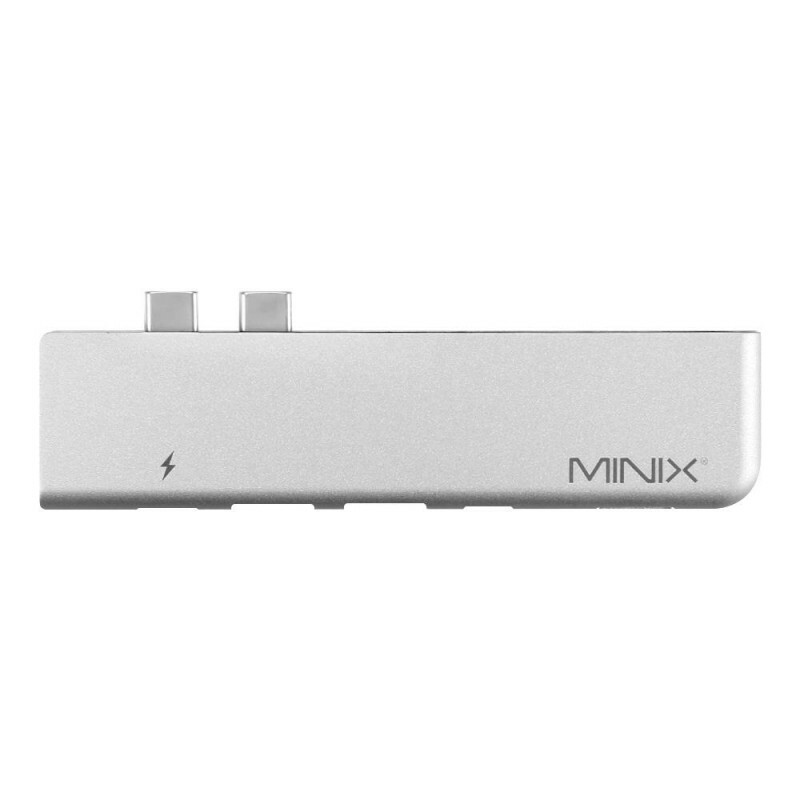 You can finally charge your MacBook Pro at full speed. 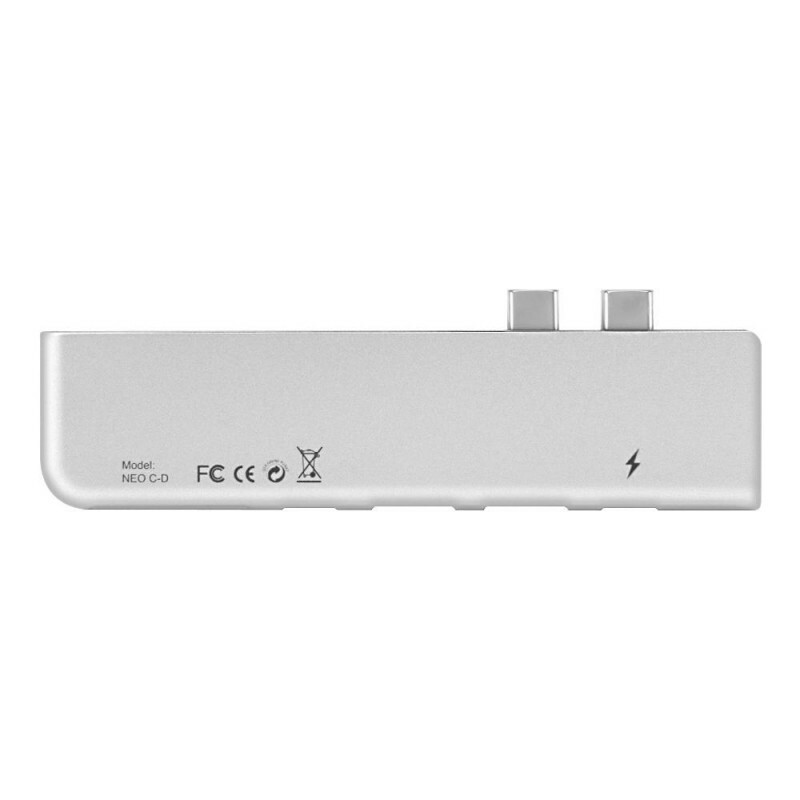 The adapter’s charging capabilities support up to 100W power delivery to charge both 13” (61W) and 15” (87W) MacBook Pro at full speed via the Thunderbolt 3 port. 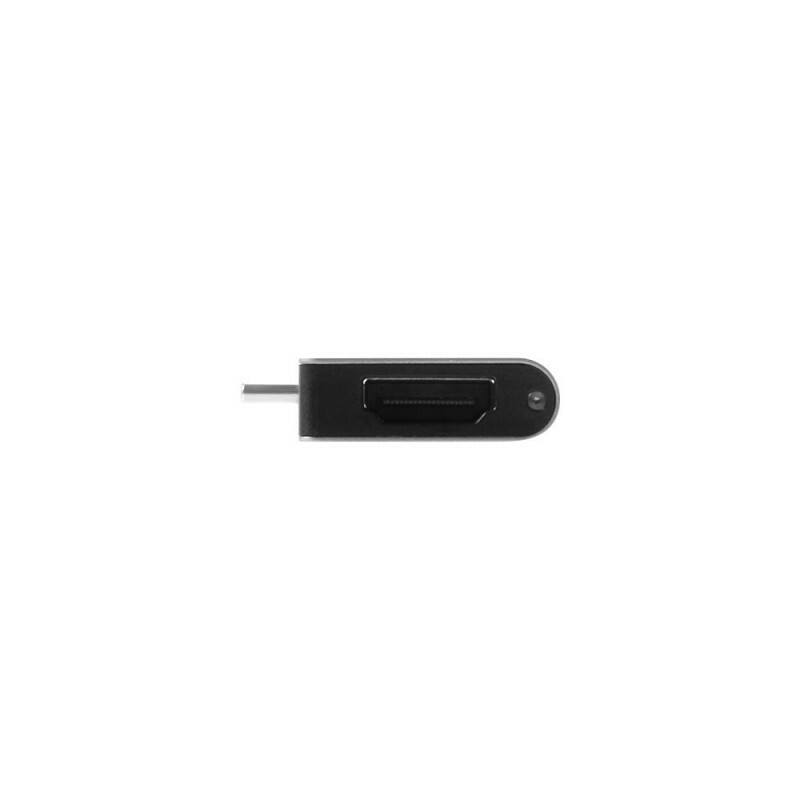 The data transfer speeds up to 40gbps, therefore the NEO C-DGR takes full advantage of the incredible data transfer rates offered by Thunderbolt 3, achieving speeds up to 40Gbps. 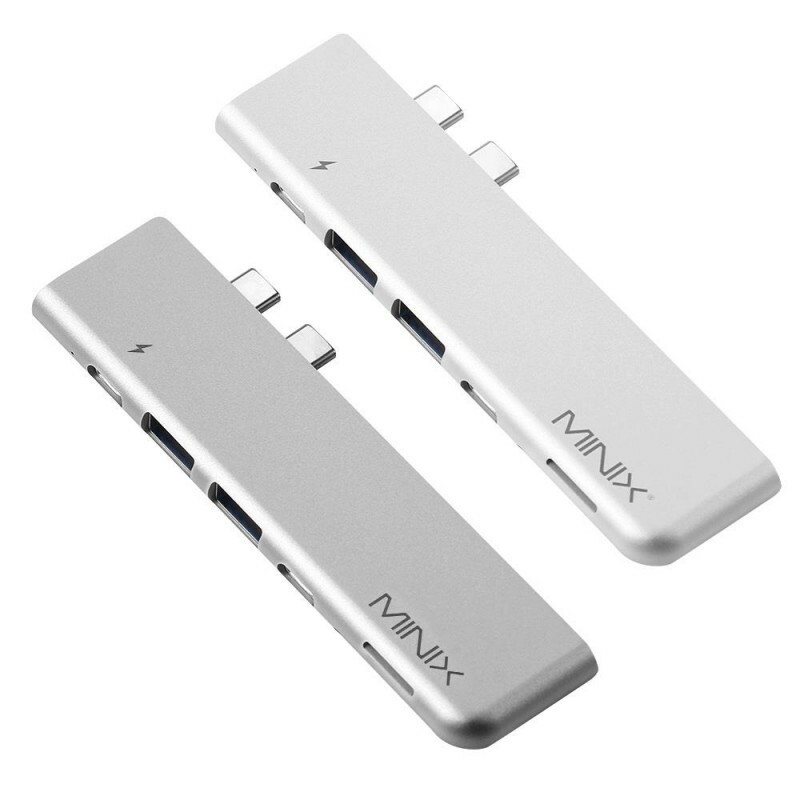 While, the USB-C port and USB 3.0 ports provide data speeds up to 5Gbps, and Micro SD and SD card readers offer UHS-I 104MB/s.